Jules A. Kennett, a Colebrook resident, brought a lawsuit against the Town of Colebrook (“Town”), asking the Court to overturn the Town’s decision to participate in the Coos County Recycling Program (“County Program”). Mr. Kennett represented himself at trial, and the Town of Colebrook was represented by Attorney Jonathan Frizzell of Waystack Frizzell, Trial Lawyers. At a trial held on January 26, 2017, the Court considered numerous exhibits and the testimony of seven witnesses. On March 20, 2017, the Court issued a lengthy written decision (click HERE to read the decision), finding in favor of the Town on all issues. The County Program is a program where the recyclables from several towns are collected and transported to a facility in Stewartstown. At that facility, inmates from the Coos County House of Corrections prepare the recyclables for sale. Until recently, Colebrook had been preparing its own recyclables for sale, which included weighing the materials, grinding glass products, baling paper, etc., and then transporting them for sale once enough materials had been stockpiled to justify the cost of transportation. On November 23, 2015, at a properly noticed meeting, the Town’s three selectmen, Raymond Gorman, Suzanne Collins, and Greg Placy, voted to have the Town stop managing its own recyclables, and to instead join the County Program where recyclables would be managed using inmate labor. The Court, in its decision, noted that joining the County Program in 2017 would save the Town a significant amount of money, and, therefore, the Selectmen’s vote was “seemingly [a] sound financial decision.” (Order, footnote 3.) After the November vote, on December 11, 2015, the Town’s three Selectmen, Town manager, road agent, and an employee from the Transfer Station met with representatives of the County Program. The meeting took place at the Town’s Transfer Station. The focus of the meeting was to examine the Transfer Station’s equipment to see what changes, if any, needed to be made to the Town’s facilities before the transition to the County Program. This meeting was not noticed as a “meeting” pursuant to the Right-to-Know law. Mr. Kennett alleged that the failure to properly notice this meeting, which included the attendance of a quorum of the Selectmen, violated the Right-to-Know law, and, therefore, he asked the Court to invalidate the vote to join the County Program. The Court held that the December meeting did not constitute a meeting as defined by the Right-to-Know law because it was not “convened for the purpose of discussing or acting on any matter within the Selectmen’s authorities, but was rather an opportunity merely to discuss the logistics of the Town’s transition to the County Program.” Since it was not a meeting as defined by the law, the failure to notice the meeting was not a violation of the law. The Court further found that the action Mr. Kennett sought to invalidate (the vote to join the County Program) was not taken at the December meeting, but rather was taken at the properly-noticed November meeting, which did comply with the Right-to-Know law. The Court lastly found that Mr. Kennett’s allegation that Suzanne Collins had a conflict of interest due to her previous positions within the county was completely unfounded. The Court denied Mr. Kennett’s prayers for relief on all issues, and upheld the Town’s actions. To read the Court’s decision, click HERE. 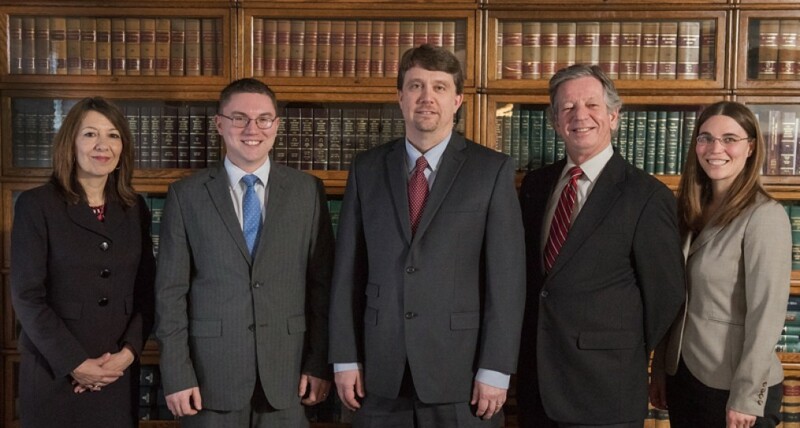 Attorney Frizzell recently became the Coos County representative for the New Hampshire Association for Justice. “For over 30 years, NHAJ (formerly N.H. Trial Lawyers Association) has been developing and leveraging the knowledge and skills of trial lawyers to preserve public access to the courts, protect individual rights, and promote justice for all.” NHAJ also promotes and monitors legislation at the state house in Concord to safeguard the rights of accident victims, workers, and their families. Attorney Garrison published an article titled Criminal Law: Debtors Prisons in NH and the Rules Proposed to End Them on January 20, 2016 in the NH Bar Association’s Bar News.